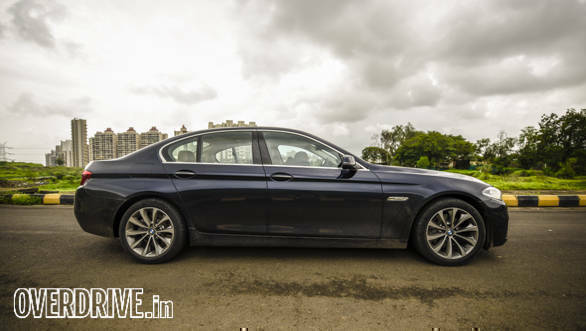 The 5 Series is one of BMW's best selling models in India. The current generation model (F10) has been around for almost six years and has constantly done well for the German carmaker in India. The car received a facelift some time back and did well to keep the car looking fresh. While BMW and its German as well as British rivals ready all-new models from this category, BMW has added a new variant to the 5 Series line-up. 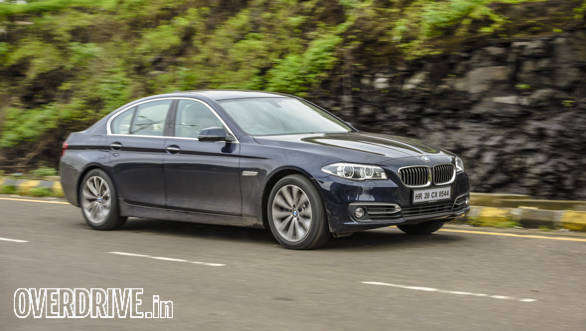 The BMW 520i is the new entry level 5 Series petrol variant that recently went on sale in India. Like the BMW 320i, this variant gets a new 2.0-litre engine from the TwinPower Turbo series. It is available only in one trim level, Luxury Line and like all BMW petrol cars, is sold as a CBU in India. The 5 Series is a smart looking car, as mentioned earlier. It still continues to look current despite being around for a while. 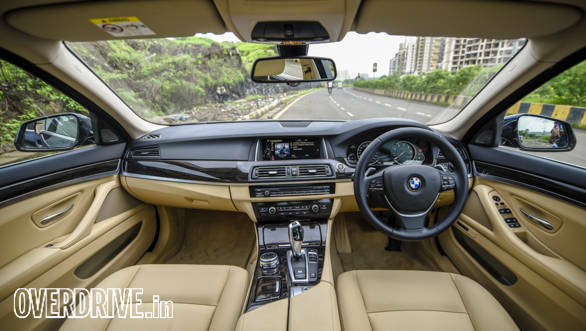 The car did get updated with an all-digital instrument cluster and newer highlights but the interior is beginning to look dated especially when compared to it's siblings like the X1, X5 and 7 Series. The engine however is an all-new modern unit. The turbo unit puts out seamless power. 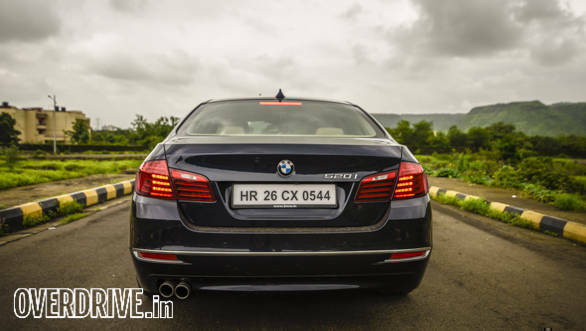 It however isn't as entertaining as the larger 3.0-litre unit seen in the BMW 535i that is sadly no more available in India. The BMW 520i however is meant to offer sufficient power with better fuel efficiency and lower emissions. 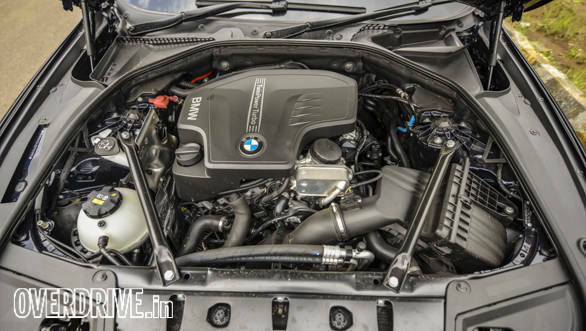 The motor is refined and NVH levels are even better than the other 5 Series models in India. The 8-speed automatic transmission offers smooth shifts and goes well with the engine's character. The engine produces 184PS and 270Nm of torque that's available from as low as 1,250rpm. This is one of the reasons for the linear power delivery and reduced lag. BMW claims the 520i will propel from standstill to 100kmph in 7.9 seconds, this makes it slightly slower than the lighter and smaller 320i. In our test, the car did the same in 8.3 seconds. An impressive figure considering the car's weight and higher efficiency figure. In the city, the car returns 9.1kmpl while on the highway, the figure goes up to 15.8kmpl. Overall, the BMW 520i returns 10.8kmpl. The BMW 520i is available in just one variant, Luxury Line and offers a long list of comfort and safety features seen in the BMW 520d. 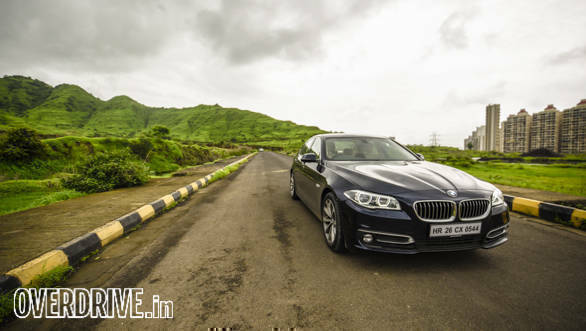 Priced at Rs 54 lakh, ex-showroom, pan India, the BMW 520i is priced on par with its diesel sibling. It's a good alternative to the 520d if you're looking for a petrol powered 5 Series. We only wish the car was priced a few lakhs cheaper than the diesel 5 Series as this would have helped attract more buyers.